About Us Christmas Decorations Etc. The folks who created the new ChristmasDecorationsEtc.com website have been selling online since the early 1990s, with a mission statement that has included selling Holiday decorations to consumers all over the world via the Internet. The ChristmasDecorationsEtc.com website is connected to a state of the art distribution system which includes many distribution centers that are strategically located throughout the U.S.A. These fulfillment centers provide ChristmasDecorationsEtc and its users with an ever expanding selection of Christmas lights, Christmas Decorations and artificial Christmas trees. We carry Christmas lights and many seasonal decorations all year round so the web site is continuously capable of accommodating demanding decorating projects all year long. The ChristmasDecorationsEtc.com website accepts payments via Master Card, Visa, Discover and American Express cards and will ship your order almost anywhere in the world. The people responsible for the creation of the ChristmasDecorationsEtc.com website have been featured on television, radio and in numerous magazines all over the US in the interest of selling seasonal decorations and string lights online. The ChristmasDecorationsEtc.com website is represented on Facebook and you can follow us on Twitter @DecorationsEtc. The people who work every day to bring you the ChristmasDecorationsEtc.com web site are absolutely dedicated to making sure that your commerce experience with us is to your satisfaction. We are committed to doing what it takes to make you a happy customer. Please be sure to visit our contact page for our corporate mailing address and some other important web site information. The ChristmasDecorationsEtc.com web site is owned and operated by Team Santa Inc. a privately held New Jersey company. For those of you who do not know, the family who owns Team Santa Inc., has been involved in the Christmas industry for over 60 years. In appreciation of that fact and in memory of some those people who are no longer with us, please click here for a delightful article brought to you straight from the archives of the NY Times. This article was written almost twenty years ago and it features the family and their New Jersey Christmas Store, The Holiday Tree and Trim Co. The family's legacy of Christmas related companies, includes the Holiday Tree and Trim Co., which was always adorned with gorgeous showrooms that lit up Broadway, in Bayonne. NJ. Leaving just a few members of the original family to continue the success they have enjoyed for so many years, in 2012, the company Team Santa Inc. had been born. 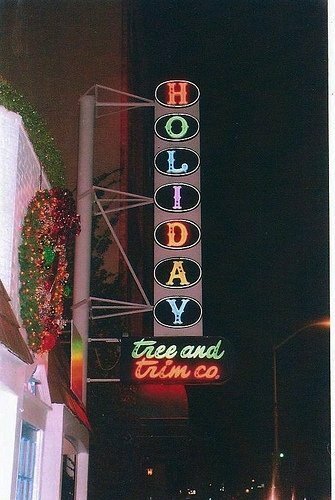 Team Santa Inc. is the parent company of the ChristmasDecorationsEtc.com web site. Aside from ChristmasDecorationsEtc.com web site, Team Santa has built several other commerce websites too. The company's core effort right at this time is to make sure that all the Internet web stores recently developed are being managed properly and are ready to go for the upcoming holiday season. So with delight, we take you from the lovely brick and mortar establishment located on Broadway in Bayonne, NJ, off to the archives of the NY Times newspaper, then directly to the front door of our brand new Internet Christmas Store, ChristmasDecorationsEtc.com. Team Santa Inc. E-Commerce Is Our Business. Email us, we would love to hear from you! You can also follow us on Facebook, Twitter or any of our blogs.